Bring back colour into your home with our new collection of latest designs in the range of Home Furnishings. We are manufacturers exporters of cotton tablecloth, printed tablecloth, kitchen towels, designer table linen, kitchen linen, bed linen and table place mats. Alto A Fabric has emerged as a sterling name in the fabric export sector owing to its premium quality products. The company is a manufacturer suppliers and wholesale exporter of wide range of tablecloth, printed tablecloth, kitchen linen, kitchen towels, designer table linen, bed linen and other home furnishings products made ups. It enjoys a distinct place in the market with its high quality, competitive prices and on time deliveries. Quality has always been a defining factor at Alto A Fabric and the organization has been successful in continuing its tradition of always superseding its client's expectations. 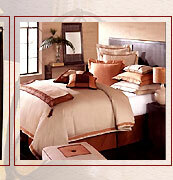 We are manufacturers exporters & suppliers of table linen, kitchen linen, home furnishings and bed linen products. Its our top quality that sets us apart from the rest. 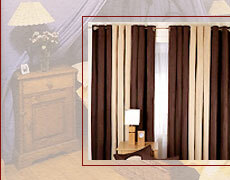 Alto A Fabric is renowned for its quest for quality. The company is a quality leader in its sphere of operations and caters to the customer requirements by offering matchless services in terms of fine quality of table linen, kitchen linen, home furnishings, bed linen products and prompt delivery. 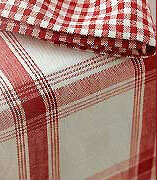 Our quality products are table linen, kitchen linen, home furnishing & bed linen. We possess a sound infrastructure at our production unit which is located in the hub of industrial sector, Karur in Tamil Nadu. A diligent team of skillful artisans and workers helps us to manufacture quality fabric which is loved world over. 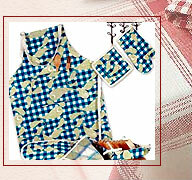 Backed with latest machines and experienced manpower, we are manufacturer and supplier a wide range of products such as tablecloths, aprons, kitchen gloves, table linen, kitchen linen, home furnishing, bed linen products in beautiful patterns and perfect finish.